The long-awaited T-shirt design contest winner! 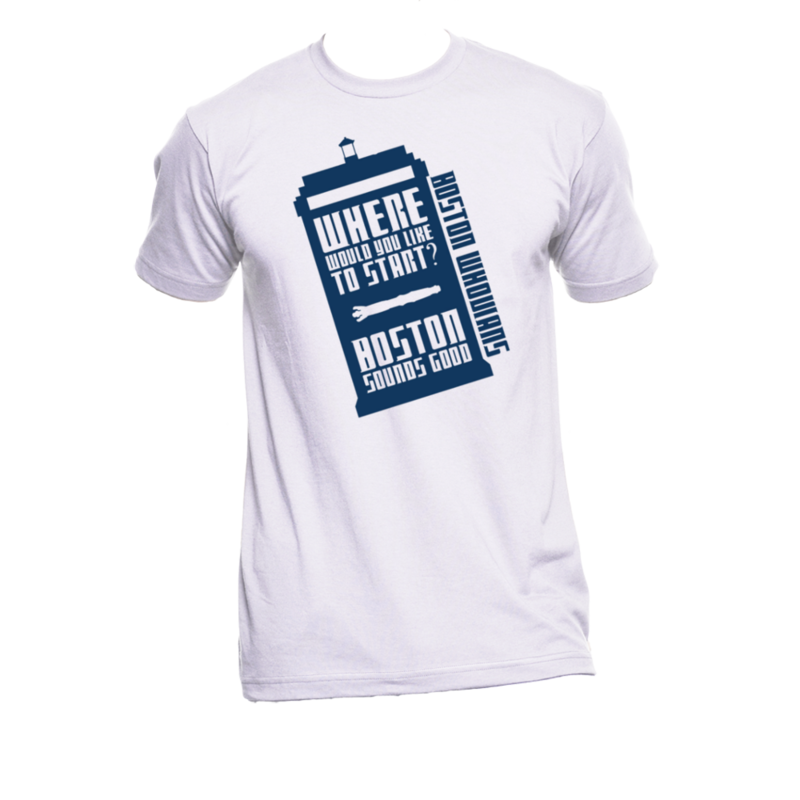 Features a TARDIS with the words “Where would you like to start? Boston sounds good” and “Boston Whovians”. This is a lightweight (4.5oz) T-shirt in a unisex cut.